PoP (package-on-package) (Dreiza et al. in IEEE/ECTC Proc:1397–1402, 2007, ; Carson et al. in IEEE/ECTC Proc:737–742, 2007, ; Vijayaragavan et al. in IEEE/ECTC Proc:389–386, 2008, ; Lee et al. in IEEE/ECTC Proc:720–723, 2009, ; Eslampour et al. in IEEE/ECTC Proc:1946–1950, 2010, ; Yoon et al. in Proc IEEE/ECTC:1250–1254, 2012, ; Eslampour et al. in IEEE/ECTC Proc:904–909, 2012, ; Eslampour et al. in IEEE/ECTC Proc:871–876, 2012, ; Eslampour et al. in Proc IEEE/ECTC:1823–1828, 2013, ; Wojnowski et al. in IEEE/ECTC Proc:2121–2125, 2013, ; Wunderle et al. in Proc IEEE/ECTC:372–382, 2013, ; Tseng et al. in IEEE/ECTC Proc:1–6, 2016, ; Dhandapani et al. in IEEE/ECTC Proc:1639–1644, 2018, ; Lee et al. in IEEE/ECTC Proc:2217–2223, 2018, ; Hwang et al. in IEEE/ECTC Proc:343–348, 2018 ; Ki et al. in IEEE/ECTC Proc:580–586, 2018, ; Wei et al. in IEEE/ECTC Proc:693–702, 2018, ; You et al. in IEEE/ECTC Proc:1295–1301, 2018, ; Wu et al. in IEEE/ECTC Proc:1609–1616, 2018, ; Lujan et al. in IEEE/ECTC Proc:2083–2088, 2018, ; Lim et al. 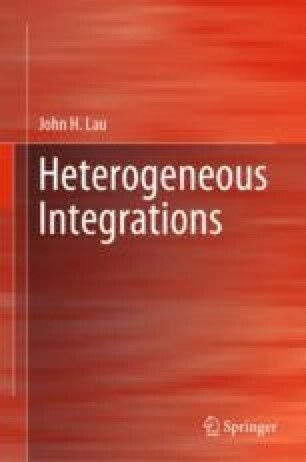 in IEEE/ECTC Proc:2205–2211, 2018, ) is one of the heterogeneous integrations. It integrates more than one chip into a PoP format. In the past 10 years, PoP has been used to house the application processor (AP) and memory for mobile applications.